We’re delighted to welcome two new executives to MyHeritage: Russ Wilding and Roger Bell. Russ and Roger are the former founders of Footnote.com, which was acquired by Ancestry.com in 2010. Russ has been appointed Chief Content Officer for MyHeritage and Roger is VP Product. They will be based in the MyHeritage Utah office. Russ and Roger will be responsible for increasing the volume of international historical record content for our users. This will be a major benefit to our user base as it will complement the massive amount of user-contributed content that has made MyHeritage the world’s largest family social network for discovering and sharing family memories. This is part of MyHeritage’s expansion into historical content, following our November 2011 acquisition of FamilyLink Inc with a library of four billion records, and our recent announcement making the 1940 U.S. Census available to users free of charge from April 2012. Russ Wilding – a highly regarded professional in the family history market – will be responsible for creating and leading a new department that will acquire, license, transcribe, crowdsource and produce historical records, such as census, birth and marriage records. He is very experienced in acquiring historical content, licensing and digitization from his previous 11-year role as CEO of iArchives, Inc. and founder and CEO of its website, Footnote.com. Roger Bell – as VP Product, alongside MyHeritage’s product team – will focus on building even more products for our users as well as tools for the crowdsourcing of historical records. During his four years at Footnote.com as Senior VP Product and Development, he was instrumental in defining the strategic direction of Footnote.com and in the creation and management of the team. Before joining Footnote.com, he was director of Product Management at Ancestry.com (2002-2006), where he was responsible for the search engine, user experience and community tools. As mentioned, part of their responsibilities will be the initiation of a major global crowdsourcing project. Russ and Roger will be coordinating with our users and our community managers, working with them to ensure that there is even more data available for our international users, in 38 languages. The more data we have, the more data you have with which to research your family history and connect with relatives around the world. 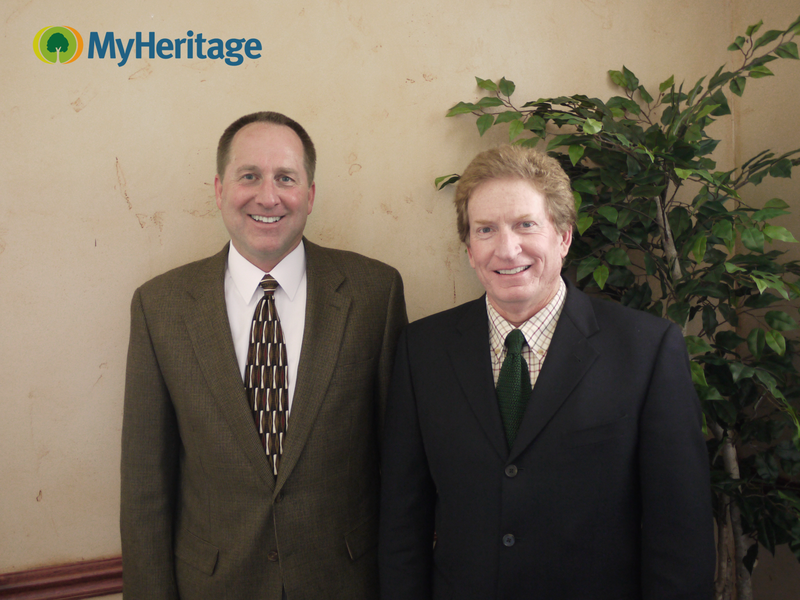 Welcome, Russ and Roger, to the MyHeritage family! Great news that MyHeritage is continuing to expand and complement its already strong talent. I hope that all the new development is not going to be too USA-centric and that there will be plenty for us in Australia, together with the links we have with the UK. Hi Diane, please contact support@myheritage.com and they’ll help you.